Bentley is considering establishing a bespoke coachbuilding division, which would see the luxury manufacturer revive its heritage for today’s customers. The service would be available to its wealthiest clients, and see Bentley craft one-off models tailored to their precise specifications. A move into this area would follow Ferrari and McLaren, which have trialled a similar service with their respective F12 TRS and X-1 models. “Go back to the beginnings of our company, we built the chassis and customers put their body of choice on top. At one point there were 50 coachbuilders in London alone,” noted Kevin Rose, Bentley member of the board for sales and marketing. “Technically it’s possible and the cost is irrelevant, even if it was up to £5m. We have to work out if it’s feasible, but we’re interested in the concept.” he added. 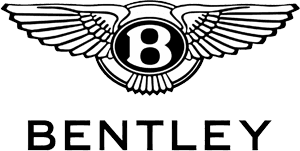 There are currently coachbuilding companies in existence who are meeting the needs of wealthy motoring enthusiasts, and Bentley’s own Continental GT was converted for a client with shooting brake influences to create the Bentley Continental Flying Star. If the prestigious carmaker were to offer such a service, it would allow it to boost market share at a time when growth projections for the class are modest. “The total market won’t grow much over the next few years – we’re hoping for modest double digit growth – until the SUV comes along and then we’ll see some more model driven growth.” said Rose. Explore all of Bentley’s stunning models with the help of Charles Hurst’s professional team in Belfast.